I’m here one more time with my second post for Blue Fern Studios. 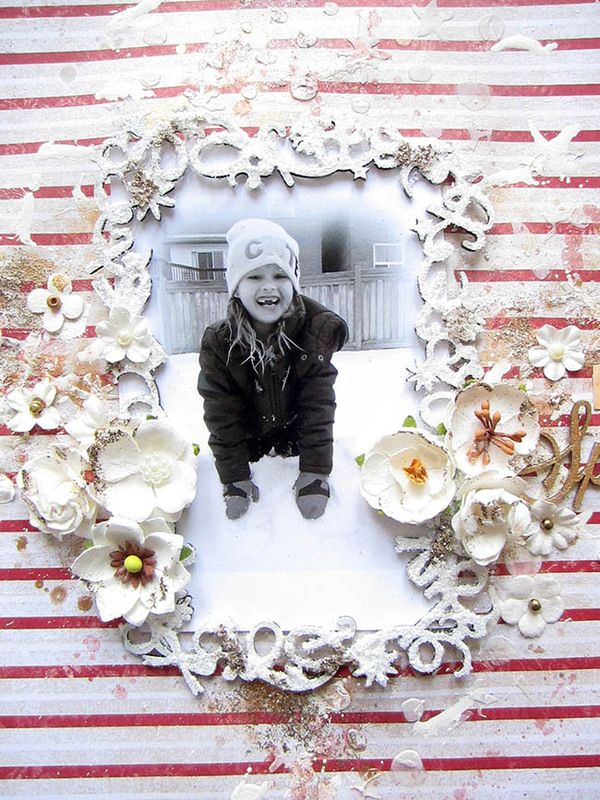 I’m using again the brand new collection from Blue Fern Studios called Vintage Christmas. 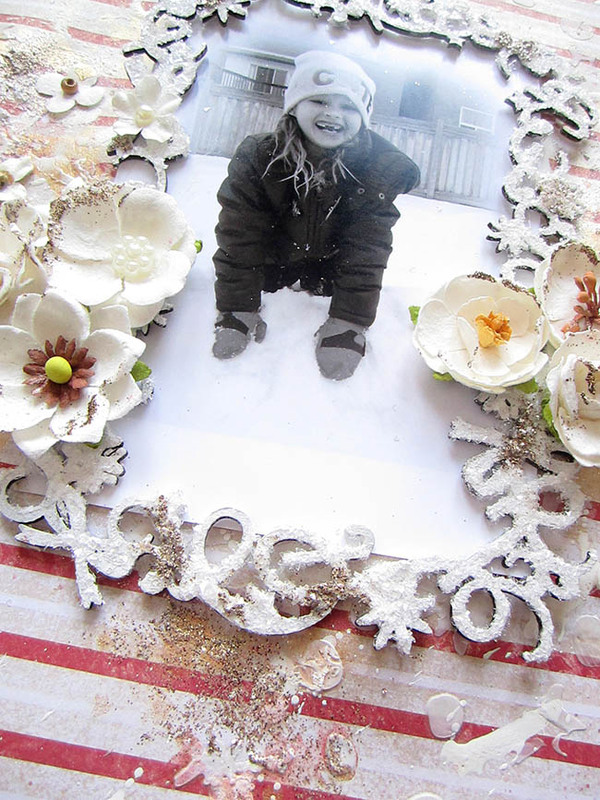 Its a beautiful holiday and wintery paper collection and it was perfect for scrapbooking last year’s winter photos. 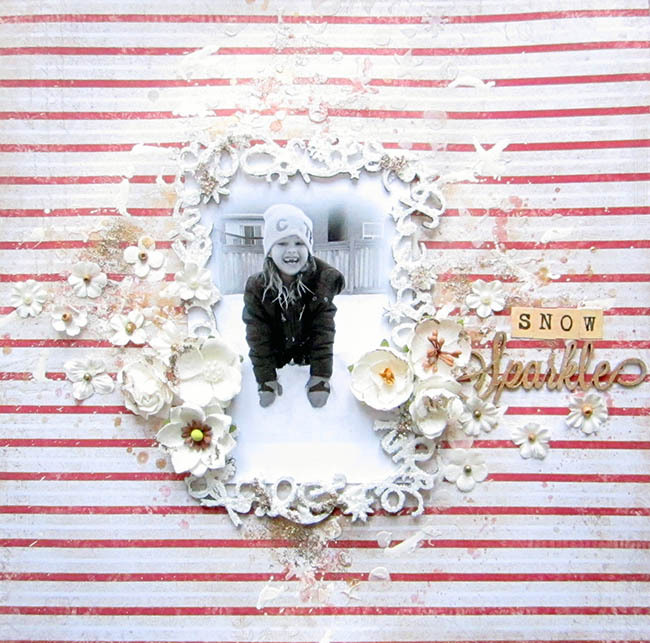 For this background I used the “Auld Lang Syne” paper from the Vintage Christmas collection. I framed my daughter’s photo with the Holiday Frame. I primed it with white gesso and then sprinkled it with diamond dust to give it a snowflake texture feel. Finally I used some Imagine Ink Pyrite glitter to add some golden highlights around the frame and on the background. I used the Blue Fern Studios Persimmon, white and golden spray to add some texture and sparkle to the background. 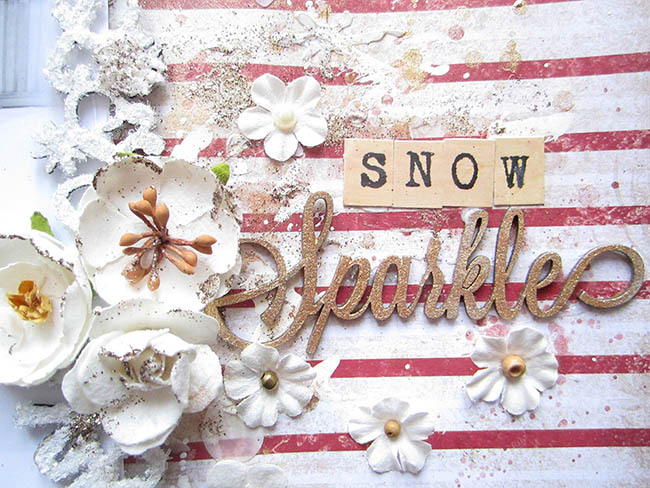 Finally I used the “Sparkles” chipboard word from the “Winter titles” set. It was sprayed with gold ink. Keren this layout is fabulous. Very elegant and with a lot of lovely sparkle. Love the flowers and the texture. You are so creative.